Jon said: “We have supported the work of the community department since its inception. Exeter Chiefs Community department runs multiple social change and social engagement programmes working with a huge variety of people from across the local community. In addition, they also run their hugely successful match-day experiences, as well as community camps and clinics to help those already involved in the game. 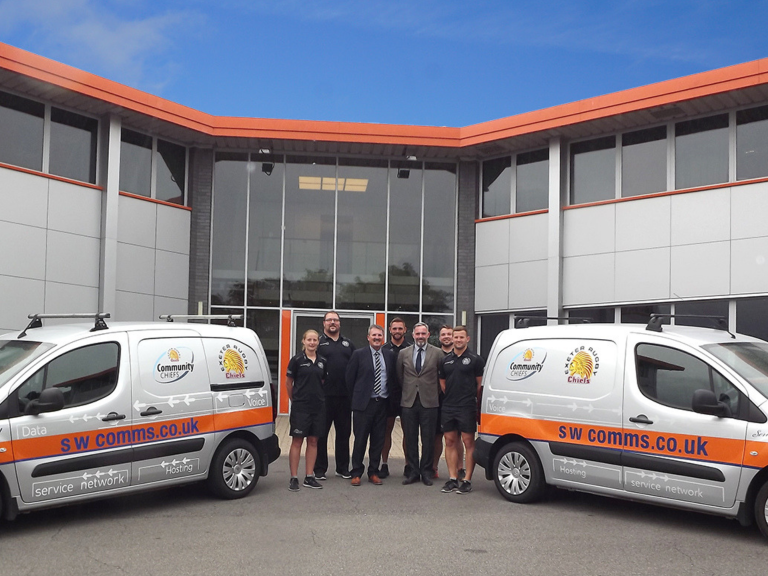 Andrew Dudley, Exeter Chiefs Community development manager, said: “It is fantastic to have the continued support of swcomms in helping to drive the club’s community department forward.